Like the holidays, awards season is fully underway. Most ceremonies won’t be held until after the new year, but you can already start placing your bets (we don’t actually advocate gambling, but everything else about this year has been a crapshoot) on the 2018 Grammy winners. 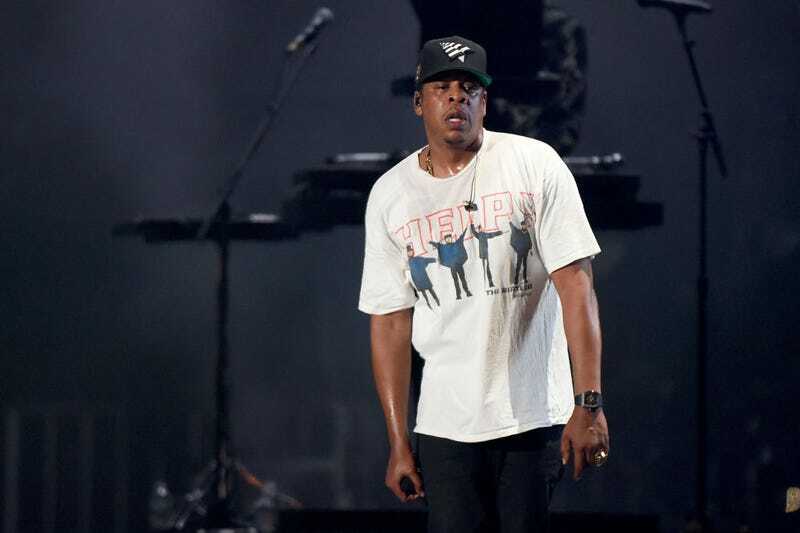 Variety has the complete list of nominees, which is topped by JAY-Z with seven nods, including Record and Album Of The Year. Kendrick Lamar isn’t far behind with six nominations, including Best Rap Album and Best Rap Performance. 4:44 and HUMBLE. were among some of our best reviewed albums of the year, so there’s no real surprise there. Neither is the inclusion of Luis Fonsi and Daddy Yankee’s “Despacito,” featuring Justin Bieber, which was the song of the summer and earworm that we were all just getting out of our heads. Same for “Bad And Boujee,” which is up for Rap Song Of The Year in a race that includes “Bodak Yellow,” from Taylor Swift toppler Cardi B. Childish Gambino (a.k.a Donald Glover) nabbed five nominations for Awaken, My Love!, including the confusingly named Best Urban Contemporary Album. In the metal and rock categories, Metallica, Queens Of The Stone Age, and Mastodon are all vying for the big prizes. LCD Soundsystem is in the Best Dance Recording competition, while A.V. Club faves Sylvan Esso are up for Best Dance/Electronic Album. You’ll find the complete list of categories and nominees at Variety. You may now commence discussion of snubs.